Patrick Anderson, the son of Patrick Anderson, Esquire of Laws (a former Provost of Dundee), became a much respected citizen. He served his apprenticeship in business with Mr Frances Molison, merchant, becoming, after several years, a partner in his company. Balgay Cemetery, Section O, Lair 1B. A search did not find any gravestone though there were some plots without headstones or with headstones that were illegible. Patrick Anderson was born in Dundee, the son of Patrick Anderson and Christian Blair. His father was a merchant in the town and had been provost for a number of years. His mother died in 1836 when he was 11 and his father in 1839 when he was 14. He was educated at the public seminaries in Dundee in one of the institutions which later formed the High School of Dundee and then entered the University of St. Andrews where, according to the obituary in the Dundee Courier, he proved to be “a laborious [i.e. diligent] and distinguished student." On graduation he was employed by the Dundee merchant, Francis Molison, with whom he later entered into partnership. He carried on business with Francis Molison for many years and after his death was the senior partner in W.R. Morrison & Co, jute merchants. In July 1875 W.R. Morrison & Co failed with debts of £60,000 or more. It seems that Anderson and his company were one of the numerous victims of the collapse of Collie & Co, one of the notorious financial scandals in Victorian Britain. That Anderson was a victim seems clear from his treatment by creditors. Newspaper reports show that his main creditors were banks who were prepared to accept a settlement in which his company paid 7s.6d in the pound (37.5p) and somewhat less from him personally. How much his personal settlement was, is not entirely clear. His initial offer of 1s in the pound (5p) was not acceptable but the banks indicated that they would settle if he offered a further 1s.6d (7.5p) “payable at such distant dates as might suit Mr. Anderson” and without guarantees. It is likely that this was the outcome because, the following year, Mr. Anderson is one of the partners in Morrison, Anderson & Butchart, manufacturers of linen and canvas, and flax spinners. The business had premises at the St. Roques works in Constable Street and the Wallace Works at Dens Road. This indicates that a composition was accepted by the creditors, thus avoiding the stigma and legal impediments that sequestration (bankruptcy) would have entailed. Had he been sequestrated he could not have so easily continued in business. In addition to his own businesses, Patrick Anderson was at various times a director of several other companies. These included the Dundee Banking Company, Dundee and Newcastle SS Co Ltd., the Colonial Life Assurance Co. and the Life Association of Scotland. Mr. Anderson played an important part in philanthropic and civic affairs. He was a Justice of the Peace and a member or official of many local organisations. Education was a particular interest. He was a member of the Council of the University of St. Andrews for some years and for some of that time its Assessor. 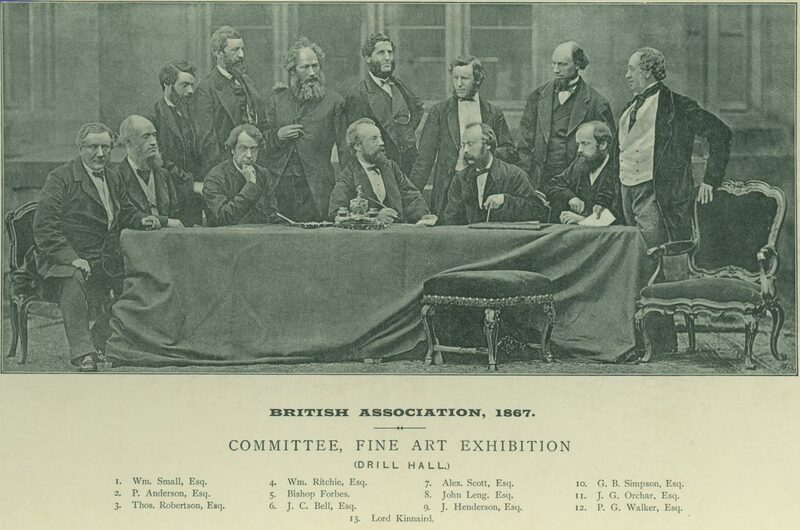 The British Association held its annual meeting in Dundee in 1867 and he played a prominent part in the organisation of the event. He was a director of the Dundee Public Seminaries, predecessors of the High School of Dundee and, on the formation of that school, became one of its directors. 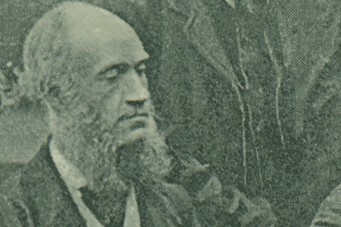 The Watt Institution and the Free Library were also organisations which had his support. He was not only a subscriber to the Albert Institute but also one of its directors. Numerous charitable organisations benefited not only from his financial generosity but also from his willingness to play an active part in their running. He is frequently listed as a contributor to charitable appeals for the relief of dependents of misfortune both local and overseas. For example, he was present at a meeting to set up a soup kitchen in Dundee and contributed £1 to the fund. In September 1857 he joined a committee to raise money for Indian Mutiny victims and four years later was a subscriber to a fund to alleviate famine in India. 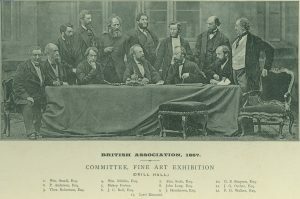 At an anti-slavery meeting he was appointed to the committee of the Freedmen’s Aid Society and later subscribed £10 to a fund designed to assist the US anti-slavery movement. In 1871 he seconded a motion at a public meeting to set up a fund for the relief of the French peasantry affected by the Franco-Prussian War. He was a member of the committee of the Dundee branch of the Shipwrecked Mariners Society and treasurer of the Dundee Branch of the Royal National Lifeboat Institution, formed in December 1861. The Dundee Directory for 1871/72 shows that he was a trustee and committee member of the Mars Training Ship, on the committee of the Dundee branch of the Society for the Prevention of Cruelty to Animals, the Indigent Sick Society, and the Model Lodging Houses Association. 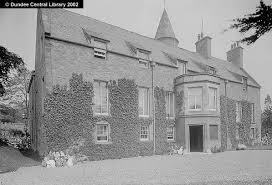 He was also a director of the Dundee Institution for the Blind and Dundee Prisoners’ Aid Society. Mr. Anderson was involved in religious affairs in Dundee. He was a member of the East Church (now Dundee Parish Church (St. Mary’s)) and at a church meeting spoke on the subject of a committee to find a new minister and led a deputation to the Town Council to get their assent, as patrons of the living, to the search for a minister. He was also a member of the committee of the Dundee Bible Society. Mr Anderson married Frances Helen Gibson in 1865. They had ten children. He died on 14th April 1884 from diabetes in Brighton where he had gone to consult a doctor. He is buried in Balgay Cemetery (Section O Lair 1B) though the headstone is no longer visible. 1881 Census Scotland. Dundee. 282/1/29/1. Scotlands People Centre. 1891 Census Scotland. Dundee. 282/1/37/1. Scotlands People Centre. 1841 Census Scotland. Dundee. 282/10/1. Scotlands People Centre. 1851 Census Scotland. Dundee. 282/22/11. Scotlands People Centre. Dundee Directory, 1853/54, p.132. Local Studies, Central Library, Dundee. Dundee Directory, 1856/57, p.68. Local Studies, Central Library, Dundee. Dundee Directory, 1867/68, p.32. Local Studies, Central Library, Dundee. Dundee Directory, 1874/75, p.96. Local Studies, Central Library, Dundee. Dundee Directory, 1876/78, p.92. Local Studies, Central Library, Dundee. Dundee Directory, 1880/81, p.410. Local Studies, Central Library, Dundee. Dundee Courier, 15 April 1884, p.4. British Newspaper Archive website. Email from Dundee City Council Parks and Burials Dept. 9th March 2018. Dundee Courier, 12 September 1855, p.2 and 18 July 1861, p.2. British Newspaper Archive website. Dundee Courier. 18 March 1857, p.1. British Newspaper Archive website. Dundee Courier, 11 August 1852, p.2. British Newspaper Archive website. Dundee Courier, 26 April 1854, p.4. British Newspaper Archive website. Slater's Scottish Directory, 1861, p.67. Local Studies, Central Library, Dundee. Dundee Courier, 15 November 1854, p.1. British Newspaper Archive website. Dundee Courier, 30 November 1859, p.2, 3 April 1865, p.3, 17 January 1870, p.2 and 23 October 1874. British Newspaper Archive website. Dundee Courier, 19 November 1861, p.2 and 5 December 1861, p.2. British Newspaper Archive website. Dundee Courier, 20 December 1861, p.4. British Newspaper Archive website. Dundee Courier, 18 March 1864, p.1. British Newspaper Archive website. Dundee Courier, 26 October 1867, p1. British Newspaper Archive website. Dundee Courier, 29 November 1867. p.2. British Newspaper Archive website. Dundee Courier, 28 March 1873, p.5. British Newspaper Archive website. Dundee Directory, 1871/72, p.3. Local Studies, Central Library, Dundee. Dundee Directory, 1874/75, p.54. Local Studies, Central Library, Dundee. Dundee Directory, 1874/75, p.55. Local Studies, Central Library, Dundee. Dundee Directory, 1874/75, p.62. Local Studies, Central Library, Dundee. Courier & Argus, 27 September 1865, p.3. British Newspaper Archive website. Dundee Directory, 1880/81, p.25. Local Studies, Central Library, Dundee. Dundee Directory, 1874/75, p.96 and Dundee Directory, 1878-79, p.97. Local Studies, Central Library, Dundee. Dundee Courier, 30 April 1856, p.1 and 1 April 1861, p.1. British Newspaper Archive website. Dundee Directory, 1850, p.70. Local Studies, Central Library, Dundee. Dundee Directory, 1880-81, p.238. Local Studies, Central Library, Dundee. Dundee Courier, 30 July 1875, p.4. British Newspaper Archive website. Dundee Courier, 23 July 1875, p.4. British Newspaper Archive website. Dundee Courier, 30 July 1875, p4. British Newspaper Archive website. Dundee Directory 1858/59, p.13. Local Studies, Central Library, Dundee. Dundee Courier, 30 April 1856, p.1. British Newspaper Archive website. Dundee Directory 1869/70 p.14. Local Studies, Central Library, Dundee. Dundee Courier, 1 October 1866, p.3 and 3 October 1867, p.3. British Newspaper Archive website. Dundee Courier, 22 July 1865, p.2. British Newspaper Archive website. Dundee Courier, 25 January 1854, p.3 and 1 February 1854, p.1. British Newspaper Archive website. Dundee Courier, 23 September 1857. p.1. British Newspaper Archive website. Dundee Courier, 17 May 1861, p.1. British Newspaper Archive website. Dundee Courier, 27 September 1865, p.3. British Newspaper Archive website. Dundee Courier, 20 October 1865, p.1. British Newspaper Archive website. Dundee Advertiser, 4 January 1871, p.4. British Newspaper Archive website. Dundee Directory, 1871/72, p.31. Local Studies, Central Library, Dundee. Dundee Directory, 1871/72, p.32. Local Studies, Central Library, Dundee. Dundee Directory, 1871/72, p.34. Local Studies, Central Library, Dundee. Dundee Courier, 26 July 1861, p.2. British Newspaper Archive website. DundeeDirectory, 1871/72, p.40. Local Studies, Central Library, Dundee. Dundee Courier, 3 April 1865. (Curiously, this indirect reference is the only one in the local papers. There is no news report of the marriage or an announcement in the Births, Deaths and Marriages sections). British Newspaper Archive website. I am grateful to staff at the Local History Section, Central Library, Dundee (Eileen Moran, Deirdre Sweeney, Carol Smith, Maureen Reid and Kerrin Evans) for their unfailing helpfulness and courtesy. The information above about Patrick Anderson has been collated from a range of digital and hard copy sources. To the best of our knowledge it is correct but if you are relying on any information from our website for the purpose of your own research we would advise you to follow up the sources to your own satisfaction. If you are aware of an inaccuracy in our text please do not hesitate to notify us through our Contact page.